Is Australia’s Innovation Patent System on Borrowed Time? Flying Doughnuts – Future Reality? The Federal Circuit, in a nonprecedential decision, held that claims of a reissue application were properly rejected because they recaptured subject matter surrendered during the original prosecution of U.S. Patent No. 8,282,591 (“the ’591 patent”). The ’591 patent is directed to an arteriovenous shunt that connects a graft to an artery and passes returned blood through a “single lumen venous outflow catheter” into the right atrium of a patient’s heart. This system reduces the risk of infection, clotting, and hyperplasia compared to systems that remove and return blood through a graft connected to a vein. April 26, 2018 is a remarkable date: first it’s World IP Day celebrating IP around the world. Second, and this is unique, the British IP Minister Sam Gyimah MP announced that the UK ratified the Unified Patent Court Agreement (UPC Agreement). By doing so the UK agreed to be bound to both the UPC agreement and the UPC’s Protocol on Privileges and Immunities (PPI). The UPC will be a court common to the contracting member states within the EU having exclusive competence in respect of European Patents and European Patents with unitary effect. Adding an objects clause to the Patents Act. On December 9 2015 the European Commission presented a proposal for European Copyright reform. The proposed framework, inspired by the European digital single market project, aims to provide European users with wider content and strengthen copyright protection, as well as ensure authors a fair remuneration. On 5 August 2015, the Australian Patent Office (IP Australia) released a consultation paper seeking feedback from interested stakeholders on the Advisory Council on Intellectual Property’s (ACIP) recommendation that the Australian Government should abolish the innovation patent system. Introduced in 2001 under the Howard Government, the innovation patent system is Australia’s second tier patent right having a shorter term,eight years, and a lower threshold of invention (i.e. an ‘innovative step’ as opposed to an ‘inventive step’ required for a standard patent). 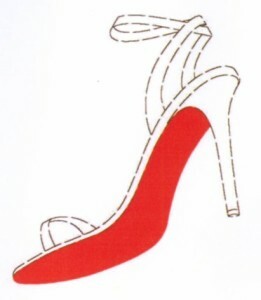 Christian Louboutin (Louboutin) has again been successful in a long running opposition proceeding filed by Roland SE (Roland) against its red sole trade mark in the European Union. As we reported late last year, the Intellectual Property Laws Amendment Bill 2014 was read by the Australian House of Representatives. On 9 February 2015, the bill passed the Australia Senate and will soon become law in Australia as the Intellectual Property Laws Amendment Act 2015. On 8 March 2014, Malaysian Airlines flight 370 disappeared. Five days later, Aoan International Pty Ltd (Aoan) filed an application to register MH370 as a trade mark in class 41 of the NICE classification of goods and services for various services. Airbus filed a suite of patent applications recently, one of which includes a futuristic looking new concept for a passenger aircraft. Dubbed the ‘flying doughnut’, and looking like a craft one would expect to see only in a science fiction movie, the aircraft features a circular cabin accessed via a cavity in the middle, contained in the middle of a giant triangular wing. The aircraft design allows for a wider passenger cabin than traditional passenger aircrafts, with the circular cabin making the most of the greater width. An important advantage of this new aircraft is that the circular cabin is better able to withstand pressurisation loads without compromising cabin space.